Investing.com – Investors will have a busy week this week with closely watched U.S. jobs data due out on Friday and the Federal Reserve’s latest rate setting meeting two days earlier, where it will probably flag up its third rate hike this year in September. The Bank of England is to deliver its interest rate decision on Thursday, with most analysts expecting a quarter point rate increase. The Bank of Japan is to meet on Tuesday, amid speculation that it is considering changes to its massive asset purchase program. 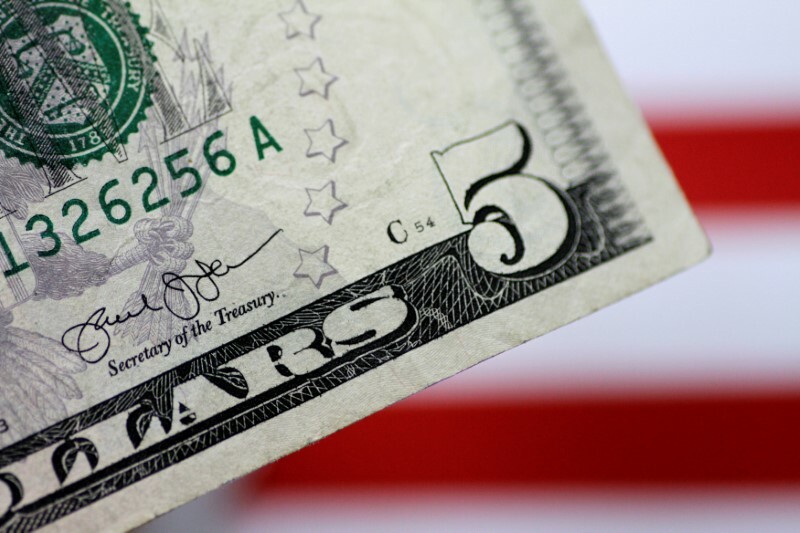 The dollar dipped against a currency basket on Friday as data showing that the at the fastest rate in four years in the second quarter was offset by concerns that trade tensions would act as a drag on growth in the second half of the year. The U.S. economy grew at an annual rate of 4.1% the Commerce Department reported, accelerating from 2.2% in the first three months of the year. Compared to the second quarter of 2017, the economy grew by a slower than anticipated 2.8%. The data underlined expectations for the Fed to continue hiking rates this year, but economists are concerned that the surge in second quarter growth may not be sustainable. Import duties could dampen consumer spending and discourage business investment. The dollar eased from one-week highs against a currency basket following the report, with the , which measures the greenback’s strength against a basket of six major currencies, dipping 0.11% to 94.47 in late trade, paring its weekly gain to 0.24%. The euro was a touch higher, with rising 0.13% to 1.1657. The euro ended the previous session down 0.72% against the dollar after the European Central Bank reiterated that rates will remain on hold until summer 2019, highlighting the widening monetary policy divergence with the Fed. The yen also pushed higher, with slipping 0.18% to 111.02 ahead of the upcoming BoJ meeting reports after reports last week that policymakers are considering how to make its massive stimulus program more sustainable. The pound was almost unchanged against the dollar late Friday, with at 1.3106. The UK is to produce data on net lending. China is to release data on manufacturing and service sector data. New Zealand is to release data on business confidence, while Australia is to report on building approvals. The BoJ is to announce its benchmark interest rate and publish what will be a closely watched rate statement. The announcement is to be followed by a press conference. Canada is to publish data on GDP and inflation. The U.S. is to release data on personal spending and the Fed’s preferred inflation measure, the core PCE price index, along with data on business activity in the Chicago region and a report on consumer sentiment. New Zealand is to publish its latest employment report. The UK is to release data on manufacturing sector activity. In the U.S., the ADP nonfarm payrolls report and the Institute for Supply Management’s manufacturing index will be released. Australia is to produce trade data. The BoE is to announce its latest monetary policy decision and publish its latest inflation report. BoE Governor Mark Carney is to hold a press conference to discuss the report. The U.S. is to release data on initial jobless claims. Canada is to publish trade figures. The U.S. is to round up the week with the nonfarm payrolls report for July and the ISM report on non-manufacturing activity.